Supreme Court on Thursday declined to entertain a Writ Petition (WP(C)No.429 Of 2014) seeking directions to curb hate speeches and other illegal activities by political parties during the election campaign, according to the Court, it cannot be put on the pedestal of Public Interest Litigation. The judgment arises from an Article 32 Petition (Jafar Imam Naqvi v. Election Commission of India) filed by Jafar Imam Naqvi a practicing Supreme Court Lawyer. It was prayed to the Court to issue appropriate writ and directions to withdraw the recognition given to such political parties resorting to illegal activities and to cancel the candidature of politicians involved in hate speech, before declaration the Election Results. According to the Petitioner, the speeches which were delivered during the recently concluded election campaign by various leaders of certain political parties, particularly Varanasi, had worsened the social harmony. He urged in the petition that these kinds of hate speeches are totally unwarranted and can endanger the safety and security of public at large and undermine the structuralism of democratic body polity. The two Judge Bench comprising of Justice Dipak Misra and Justice N.V. Ramana observed that it is not appropriate to entertain the PIL and to grant directions in this regard. Bench said that the matter of handling hate speeches could be a matter of adjudication in an appropriate legal forum and may also have some impact in an election disputes raised under the Representation of People Act, 1951. “A public interest litigation pertaining to speeches delivered during election campaign, we are afraid, cannot be put on the pedestal of a realpublic interest litigation. There are laws to take care of it. In the name of a constitutional safeguard entering into this kind of arena, in our convinced opinion, would not be within the constitutional parameters”. Earlier in the Month of March Supreme Court had dismissed another Public Interest Litigation filed by M. L. Sharma seeking directions to restrain politicians from indulging in “provocative and hate speeches” ..Read the story here. 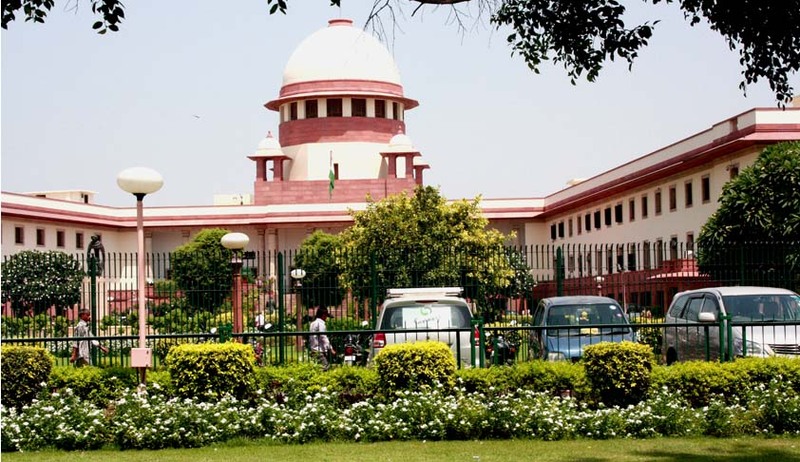 In another PIL filed by an NGO, Pravasi Bhalai Sangathan Supreme Court has directed the Law Commission of India to look into issue of hate speeches being made by politicians and to consider framing guidelines to prevent such provocative statements. Read the story here.